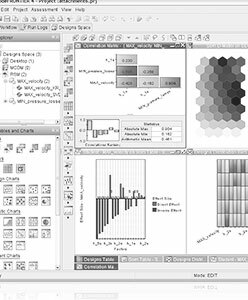 modeFRONTIER is a multidisciplinary and multi-objective software written to allow easy coupling to any computer aided engineering (CAE) tool. modeFRONTIER refers to the so-called “Pareto Frontier”: it’s the ideal limit beyond which every further implementation compromises the system; in other words, it represents the set of best solutions possible. The complex algorithms within modeFRONTIER can spot the optimal results, even conflicting with each other or belonging to different fields. 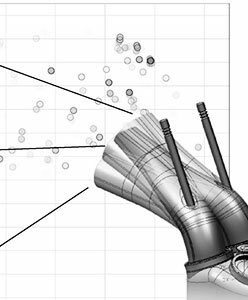 Optimization is the key to reach this goal, achievable through integration with multiple calculation tools and explicable by effective post-processing tools. mF is a product of ESTECO. 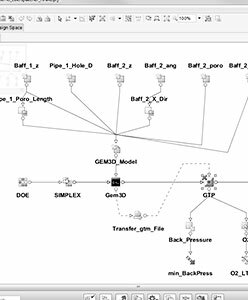 ESTECO is an independent software provider, highly specialized in numerical optimization and simulation data management with a sound scientific foundation and a flexible approach to customer needs. ESTECO technology brings modularity, ease of use, standardization, and innovation to the engineering design process. The more accurate the analysis, the more the complexity of the design process increases. modeFRONTIER allows the organization of a wide range of software and an easy management of the entire product development process. The optimization algorithms allow to identify the solutions that are in the Border Pareto: none of them can be improved without harming the other. This means that the best possible solution is to optimize. Considering the increasing challenges in today's international market, Enterprise collaboration platforms prove to be the base of competitive and innovation-driven engineering processes.